This, from Leader of the Opposition, Kamla Persad-Bissessar in a statement issued Sunday, in anticipation of the Budget Statement to be presented in the House of Representatives on Monday by the new Minister of Finance. According to the former Prime Minister: “Already we are seeing job losses in the public service and while one may try to qualify them as short or long term, the fact is that many people are now without the incomes they had before because of Government action”. 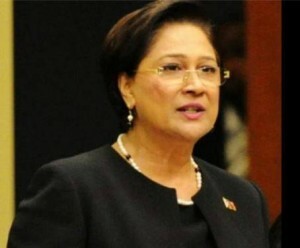 Persad-Bissessar also said social protection for the vulnerable is critical to economic stability, adding that her Government had implemented programmes which sought to provide a social safety net for the vulnerable whilst also seeking to empower them through training so as to make them better prepared for the present as well as new job markets. The Opposition Leader also assured that though time has been short for the new Government, the People’s Partnership left a solid economic and financial platform. “Applied competence will therefore play a much greater role in managing the economy through challenges than tough sounding talk and authoritarian signals”, she said. “The Government must be careful to balance its desire to stamp its personal brand on the management of the economy (which they are entitled to do) with doing what is right and in the best interest of all the people of Trinidad & Tobago,” she stated.